The Prostate Cancer Foundation (PCF) today announced the kick-off of its new national “Know the Numbers” campaign to raise awareness about how prostate cancer disproportionately affects African American men, who are 76 percent more likely to be diagnosed than men of other ethnicities, 2.2 times more likely to die of the disease and are 23% more likely to present with advanced/metastatic disease. The campaign, themed “Know the Numbers,” encourages men and their families to understand their risks and to take proactive measures to protect their health. Actor Harry Lennix, who currently co-stars on the NBC drama “The Blacklist,” is the face of PCF’s 2019 “Know the Numbers” campaign, which encourages men to understand their personal risks for prostate cancer, take charge of their health and save lives by breaking down barriers and talking about the disease. 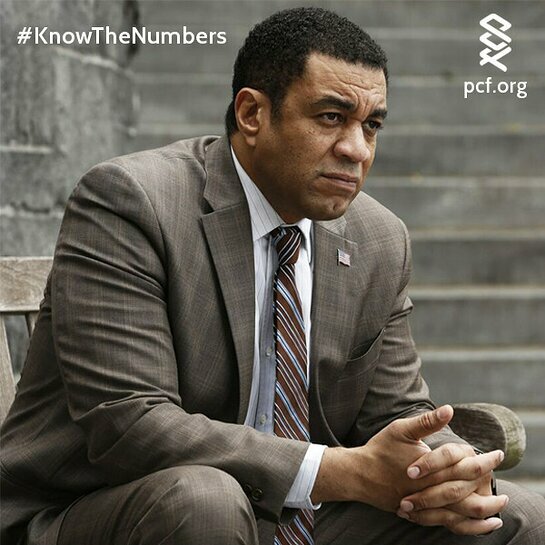 The PCF’s new PSA featuring Lennix can be viewed at www.pcf.org/knowthenumbers. The PCF’s new “PROSTATE CANCER: Additional Facts for African American Men and Their Families” is available for free download at www.pcf.org. The new guide provides actionable information about what men can do to prevent prostate cancer as well as information about risks and screening guidelines specifically for African Americans. The guide features comments from Chris Tucker, Brian Custer, “Uncle” Charlie Wilson and Snoop Dogg. Also available for free download is a comprehensive Prostate Cancer Patient Guide.